Dallas Family Medicine (Dallas) - Book Appointment Online! Our mission at Dallas Family Medicine is to ensure that we offer our patients both comprehensive and quality acute care that is provided in a timely fashion. Every patient is important to us and we will never cut an appointment short just for the sake of seeing more patients. We approach each patient with an eye for detail, an ear for listening, and a comprehensive approach that results in a quality experience and a good outcome. We care for our patients using state-of-the-art diagnostic tools and employ a variety of techniques to ensure that we always provide the highest quality care. In our office, results are all that matters. 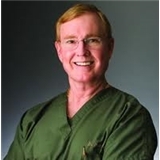 Dr. Worrell is wonderful with patients and had incredible attention to detail on your chart.